Henry: Just so you know, if you are the wolf, I’m going to cut your head off. Peter: And if you’re the wolf, I’ll do the same. While walking away from the theater, I was discussing with the person I saw this film with what genre it would be considered. 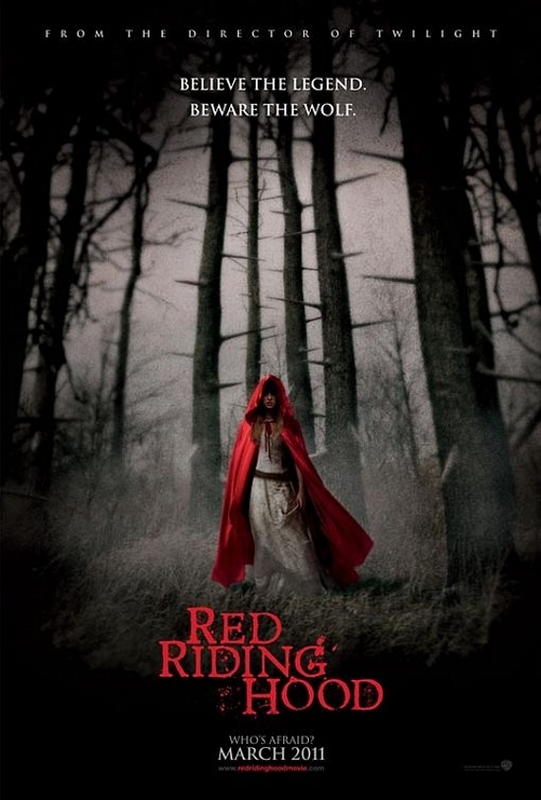 Red Riding Hood is certainly not a scary at all, nor does it have any real tension or suspense. It is not much of a drama, because none of the performers really seemed to be effected very deeply by any of what is happening (murders, weather, etc.). I guess I could say it was a fantasy film, as it does strive to be about a werewolf terrorizing a village, even though the wolf is a horrible computer creation. Really, this film is just a mess. 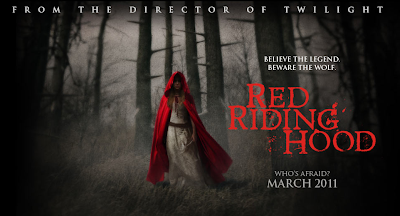 It has no identity, moving between the lines of melodramatic, campy, and serious drama/romance/horror. This is a shame, because I can see the concept of a new twist on this old tale working in a different film; a better film. Amanda Seyfried stars as Valerie, a beautiful, young blond living in the medieval village of Daggerhorn. While Valerie has been pining for the brooding, dark haired, wood cutter/male model, Peter (Shiloh Fernandez) for years, with plans to run away with him, her family has arranged for her to be married to the brooding, fairer haired, metal worker/male model, Henry (Max Irons). Unfortunately, running away with Peter will have to wait, as Valerie’s sister has been murdered by the evil wolf that terrorizes the town. With an uneasy truce seemingly in breach by the monstrous creature, some of the townspeople gather their shiniest of knives and pitchforks in an attempt to capture the beast. Upon returning with what they believe to be the head of the evil wolf, the people rejoice, but it is not long before they realize they are still under attack. 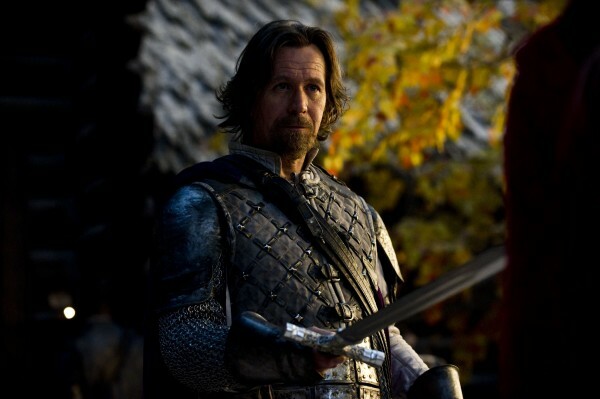 Fortunately, a rock star wolf-catcher, in the form of Gary Oldman, shows up to help the town. Oldman plays Father Solomon, a man experienced in ridding areas of werewolves, equipped with a team of strong men and a giant metal elephant (not kidding), and makes it very clear that this town needs to start suspecting all who live in it, as anyone of them could be the wolf in question. Solomon also points out that this is the time of the blood moon, which means that a bite from the wolf will have the extra effect of turning others into werewolves. All of this drama does not help Valerie, as she is now torn between the two men after her heart and also worried about this whole wolf issue. Further complications ensue, when Valerie learns that she has a unique connection to the wolf, which makes her both suspect of witchcraft and bait to draw the beast back for Solomon and his men to kill it. 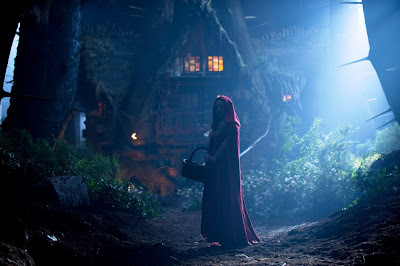 At least she has her Grandmother’s (played by Julie Christie) new red hooded coat to help keep her warm. Similar to the recent I Am Number Four, it would seem that the sole reason this film was made was in an attempt to score a big success off of the Twilight demographic. 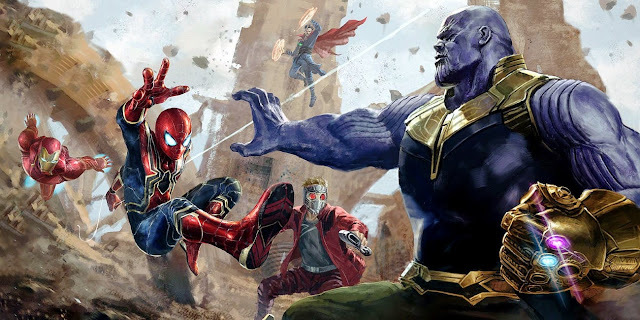 Now I say this while also acknowledging that it is not that I have something against this notion (it would be like someone calling me out for seeing every new superhero movie), but that this film has been done so poorly. Beyond having a lead female character caught between two guys (I am surprised that neither of the guys had a moment with their shirt off for this film), in a fantasy setting, you even have the director of the first Twilight film, Catherine Hardwicke, lending her directorial abilities over to this film. I remember a time when Hardwicke was a promising director, given the great response to her debut film, Thirteen, but this film seems to have been delivered dead on arrival. I felt such a great disconnect between what this film wanted to go for and what it actually accomplished. An example being the use of modern music and the lack of medieval times accents, while sticking with a somber tone throughout. 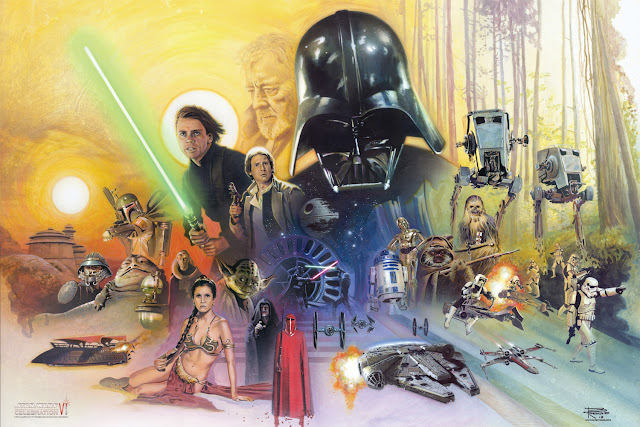 It is simply all over the place in terms of which film it really wanted to be. This is a terrible werewolf film, no question; once again adding to the stack of werewolf films that have turned out to be very bad. I honestly can’t remember the last time I actually really enjoyed a movie with werewolves at this point. Even for an attempt at PG-13 horror, this film does a terrible job at trying to scare the audience. The “werewolf” in this film is displayed quite prominently during the course of the film, and at no point at all did it ever seem intimidating or convincing. The actual plot of this film surrounding the werewolf is equally ridiculous. The film tries to supply a “whodunit” framework, in order to keep you guessing and watching out for suspects and red herrings. I found this to be akin to a film like Sleepy Hollow, which had the same sort of twist on an old story, but that film had much better scripting and much better talent, which made it a film that knew what it was doing, while this film feels more up to par with another stinker – The Village (Note: after having brought this comparison to others, some seem to have an appreciation of The Village that I was not aware of, so if that doesn’t work, cross Sleepy Hollow with a different, but still terrible film with a comparable setting). The film does have an interesting cast. Seyfried seems to have the ability to play adorably concerned quite well. There is clear talent behind her beauty, so I hope it has a chance to come out in other roles. 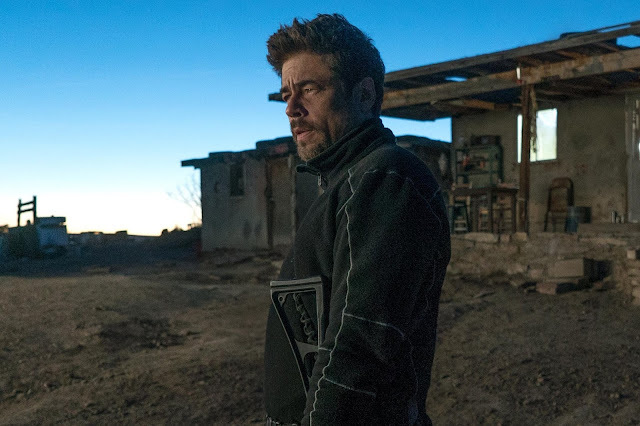 Oldman does all he can to make things more interesting by using one of his fun accents and milking his role for all it is worth, but it is not enough to make this film rise above its very poor scripting and dialogue. Julie Christies, similarly to Oldman, does all she can to seem interesting in such a bland film, but at least gets to be involved in the iconic scene of the story. 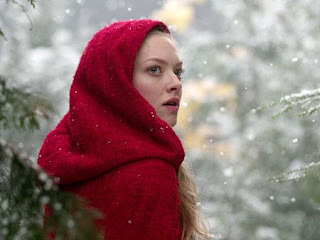 Initially, a lot of my intrigue for this film came from what I thought was some evocative imagery stemming from the use of a bright red hooded outfit in the middle of a very snowy setting. Mixed with a soundtrack by Brian Reitzell that I found to be equally intriguing, I only wish that the film’s imagery could have matched up to what little positive response I had for a trailer. Instead, the film’s village setting feels very much like a stage that has had several prop buildings made and dressed up to appear more wintery. Throughout the film, it seemed very apparent that these characters were quite cramped in a small setting and never really affected by the snowy weather. I like to grasp onto production design and visual style quite a bit when it comes to films that I know are capable of showing off an interesting such things, even if nothing much else comes from it, but that was not the case here. The film simply looks cheap, banking on its Twilight similarities to make it a hit with the fans. If there is something to glean from all of this, it is that I do not necessarily think this film is a failure, more of a mixed disaster. The tone of this film is all screwed up. It would like to be a fantasy drama with notions towards the spirit of a dark fairy tale. 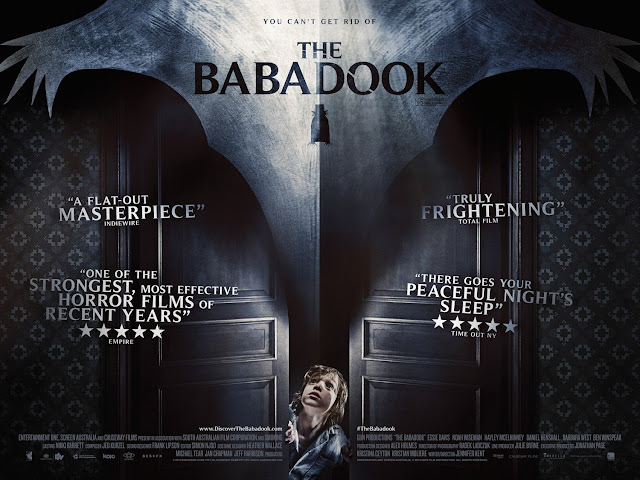 Instead, the film is dull, mixed with a couple over-the-top performances, many more wooden performances, poor effects work, and an especially bad handle on putting together good dialogue. 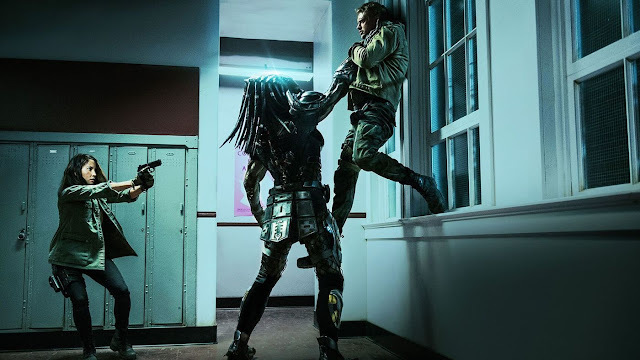 It does not quite reach the “bad turns to funny” levels of quality, but a few more “out of leftfield” moments and maybe an extended brawl at Grandma’s house and it certainly could have had me feeling a bit more big and bad upon leaving the theater.